"Arsenal are simply a different team away from home under Emery. They've scored at least two goals in all of their six Premier League games on the road, winning four – as many as the whole of last season"
There will undoubtedly be a few Manchester United fans - hell, maybe even a few Manchester United players - who were disappointed that it was Mark Hughes, and not José Mourinho getting the chop in the wake of Saturday's 2-2 draw between Manchester United and Southampton. This was another low for one miserable, unpopular, outdated moaner... and Hughes didn't exactly have a great afternoon either. Harsh? Maybe, but then United did concede twice to one of the division's least threatening attacks. And if reports that Mourinho laid into Paul Pogba after the game - the word 'virus' has been doing the rounds - are true, even the Red Devils' stirring comeback is unlikely to have lifted the mood too much. They are seventh in the league and the top four looks a pipe dream. Changes are likely on Wednesday, with Anthony Martial, Juan Mata and Jesse Lingard all hoping for starts. But it's the backlie that is the major worry: Scott McTominay and Nemanja Matić both played in defence at the weekend, with limited success, so the return of Chris Smalling or Eric Bailly would be very welcome. The mood in the Arsenal camp, by contrast, is buoyant. The win over Tottenham seemed to capture this team: imperfect, sure, but determined and joyful. They might not win anything this season, but Unai Emery has brought a little of the old swagger back, which was surely the biggest part of the brief when he arrived in the summer. The Gunners have now gone 19 games unbeaten, but the derby win felt like a statement. Not just in pure footballing terms - although there was plenty of craft to their attacking work - but mentally, from the grit they displayed after falling behind, to that little bit of needle. 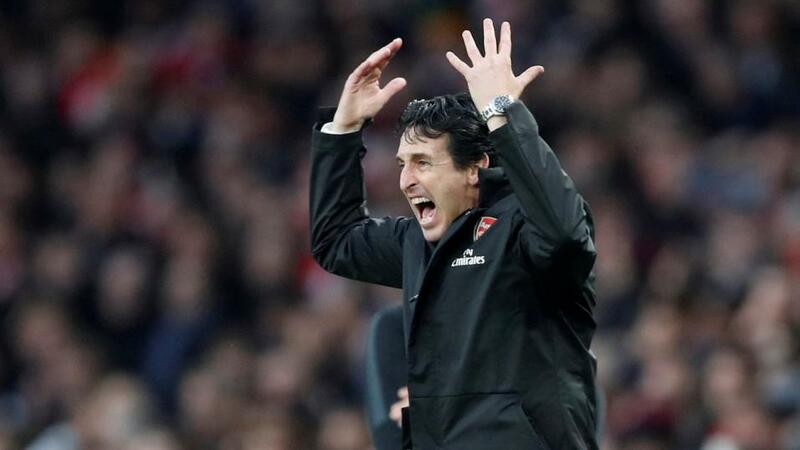 This is no longer a polite, passive outfit; Emery has them scrapping again. The Spaniard also has options. Alexandre Lacazette and Aaron Ramsey both made an impact off the bench at the weekend and will be hoping for some rotation, while Mesut Özil could also come back into contention after a back spasm. It's fair to say United have enjoyed this fixture in recent years: Arsenal haven't won in their last 11 home Premier League visits to Old Trafford (D3 L8), and were beaten home and away by the Red Devils last term. Yet the momentum in this rivalry appears to have shifted back towards north London, and there's little to recommend United here at a price of [2.5]. Arsenal are simply a different team away from home under Emery. They've scored at least two goals in all of their six Premier League games on the road, winning four of them - as many as the whole of last season. United might not play quite as poorly as they did in their last league home game (0-0 with Crystal Palace), but Arsenal could be worth a look on the Asian handicap. Another option is to pair Arsenal/draw double chance with a goals pick, using the Same Game Multi tool on the Sportsbook. Both teams to score has paid out in 22 of 28 (79%) of these sides' league games this term, and looks a logical pick given Arsenal's defensive fragilities and threat in the final third. In fact, over 2.5 goals has also come in in 20 of those 28 games (71%), so we'll take a chance on this one producing some fireworks. 11/5 is the price for the Gunners to avoid defeat in a game featuring at least three goals and at least one for each side. Arsenal's Pierre-Emerick Aubameyang has scored with each of his last 10 shots on target in the Premier League - a sensational record, whichever way you cut it. He is [2.32] to grab another goal at Old Trafford.